This blog is cross posted from Cover Texas Now. The Trump administration just announced a terrible new policy proposal that will leave more Texans sick and uninsured – and we have a short timeline to take action to stop it or change it. The U.S. Department of Homeland Security officially unveiled a new draft “public charge” policy that creates news ways that immigrants can end up with strikes against them when they apply for a green card (meaning lawful permanent resident status). Past immigration policy considered whether applicants would be “primarily dependent” on the government for subsistence. But the new plan (a proposed regulation) expands this public charge penalty to consider whether applicants are likely to enroll in even those public benefit programs — Medicaid, SNAP food stamps, Medicare prescription medication assistance, and affordable housing vouchers — that are commonly used to keep American families and communities strong and healthy. It’s important to clarify that the policy, contrary to an earlier draft, would NOT penalize immigrants for a family member’s use of Medicaid or other programs. But the fear and confusion generated by this policy — especially in combination with other efforts to target immigrant families — could threaten 1.8 million Texas children. Although the latest policy proposal does NOT penalize parents for signing their kids up, we can expect that many parents will avoid enrolling their children — including American citizen kids — in CHIP or Medicaid out of fear that they could still be targeted by immigration authorities. Tragically, we have already seen frightened immigrant parents pulling their families out of programs that help their children stay healthy, well-fed, and successful in school. 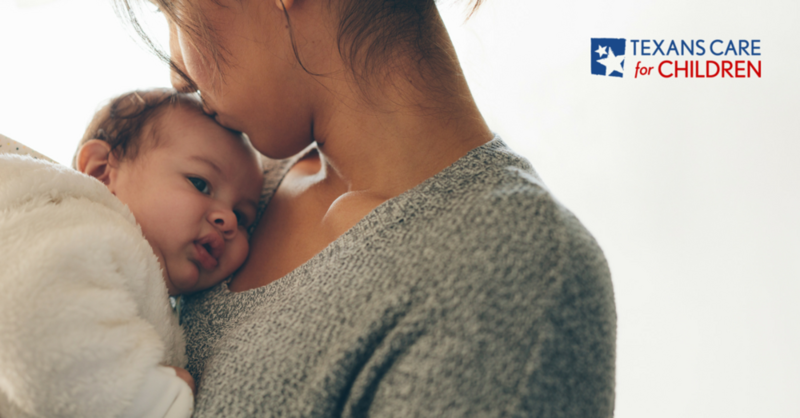 As health care advocates, we are also very concerned that the administration is considering adding CHIP Perinatal to the new policy — a move that would punish Texas women for using the program to get prenatal care for a healthy pregnancy and healthy baby. CHIP Perinatal is available to uninsured Texas women who do not qualify for Medicaid for pregnant women, including green card holders and visa holders. It is devastating to know that this policy will push women to skip prenatal care, resulting in more Texas children who are born too early, too small, and with special needs, delays, and disabilities that could have been avoided. The administration specifically requests comments on whether to include CHIP in the final rule. It’s time to take action and raise your voice! The policy would also target a huge number of Texas families by penalizing green card applicants for simply having a low income, large family, or health challenges — a proposal that experts consider a radical change to the nation’s immigration system. In terms of pushing people out of health care and other public benefits, beyond the impact of the fear and confusion and the potential penalty for enrolling in the CHIP prenatal care program, the new proposed rule technically applies to public benefits within Texas in fairly narrow — though concerning — circumstances. In terms of penalties for enrolling in public benefits in Texas, we’re concerned, for example, that if parents in Texas on a temporary work or student visa enroll their children in Medicaid or CHIP, this proposal would penalize those children if they apply for a green card a short time later. Additionally, individuals (including children) with green cards who leave the country for six months or more are always subject to the public charge test when they return, so children and adults with green cards who are enrolled in Medicaid, CHIP, or SNAP and leave the country for six months would also be would be at risk on being penalized when they return to the U.S. Families should consult a local immigration legal services agency or an an immigration attorney for details and advice about how they could be affected, before dropping benefits. In other states that allow more immigrants to enroll in these critical programs, more families will be pushed to drop their health coverage. But in many cases in Texas, immigrants — both documented and undocumented — are simply not eligible for health programs and social services in the first place. It’s also important to note that the new public charge rule does not apply to refugees, asylum seekers, domestic violence and human trafficking survivors, and green card holders going through the process to become a U.S. citizen. Additionally, a separate immigration proposal by Attorney General Jeff Sessions may go further in deterring Texas families from getting the health care they need. Politico reports: "The Justice Department plans to propose a regulation detailing when legal immigrants could be deported for receiving certain government benefits, according to new background info from DHS. The proposal deals with immigrants already admitted to the U.S., including legal immigrants with green cards." Congress will not get to vote on these proposals, but we all can — and should — raise our voices before December 10th. The administration is collecting public comments on its proposal until that date. After that, the administration will read through all the comments and take them into account when they finalize the policy. Additional resources and information are available on CPPP’s public charge webpage.